H-E-B has released its Super Bowl commercial, highlighting that, “no matter where you go, if you have H-E-B, it just feels like home”. 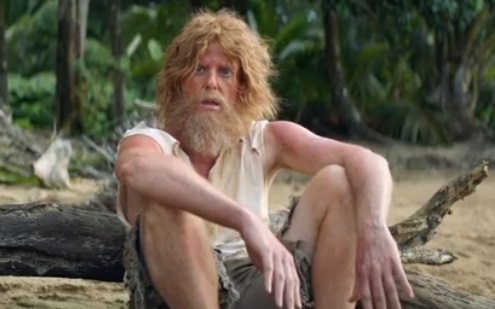 The 60-second spot, titled “Deserted Island,” features a man stranded on a deserted island who, on his 14th day there, tries all kinds of things to ask for help. On the 154th day, after losing hope, the waves push to the shore a cooler that it turns out is filled with H-E-B-branded food. His mood changes and life on the island becomes quite nice. One day, noticing a plane up in the sky, he rushes to write down a message on the beach, but not “Send help” as he had done on the 14th day, but “Send H-E-B”. “No matter where you go, if you have H-E-B, it just feels like home,” the voiceover says at the end of the commercial. Last year, the Texas-based grocery chain tapped Cowboy Troy to appear in its Super Bowl ad. The country music star put his musical skills to the test, specifically his rhyming skills, in the ad, which was also a promo for the Quest for Texas Best competition (competition aimed at finding unique flavors across Texas that have potential to become Primo Picks products). The ad will air between the third and fourth quarters. This year, the Big Game, which will see the Los Angeles Rams and New England Patriots facing off, will take place on Sunday, February 3rd, and will be televised by CBS and streamed on CBSSports.com and on the CBS Sports App.